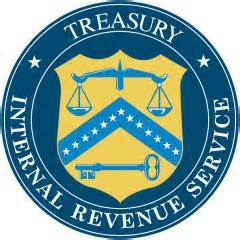 The bizarre official seal of the IRS combines scales, a key, stars and an upside down V.
A lot of people in other countries (I call them “foreigners”) read my blog posts. In fact, folks from dozens of countries have done so. I know that’s weird, but it’s true. It causes me to wonder what our foreign friends think of America, beyond our well-known Western decadence. Am I dressed in swaddling clothes? Do I have a funny accent? Do I speak some odd Martian-sounding language? Am I wearing a fez? Do I own a prayer rug? Have I ever stoned anyone? Have Americans ever invaded my hometown? Do I throw shoes at people? Have I sworn allegiance to a king, queen or other potentate/monarch? Is my facial hair bizarre and unkempt? If you answered “yes” to any of these, you’re probably a foreigner. If not a foreigner, you just could be a typical American weirdo. Even if you’re an American, imagine if you were a foreigner. We’ll call you “Vlad.” In your country, such things as child slavery and genocide are scandalous. As a result, you might be quite confused by what passes for scurrilous behavior in the Greatest Nation on Earth™. Do foreigners follow American politics? If so, it must be confusing. Then again, maybe it’s just like things in their countries. Regardless, as a service to foreigners, I have penned this simple primer on the latest American political scandal. As we know from Judeo-Christian lore, tax collectors are reviled and for good reason. They take our money. No one likes that. That is the function of the IRS. They collect our taxes through a system only slightly less complicated than the plot of the film Dune. In return, we hate them. The IRS is in the news now because it has been picking on people–and not just any people, but conservative people–really conservative people. Here in America, we have a group called the “Tea Party.” It’s really just an offshoot of the Republican Party, but even more conservative. Some of my Leftist friends call them “Tea Baggers,” which is just sophomoric, yet still funny. The Tea Party is a so-called grassroots political group (not a real political party, mind you) which named itself after the famed Boston Tea Party which occurred way back in America’s colonial days. That Tea Party protested taxation of the colonies without representation in Parliament. Now, this Tea Party–being citizens of our Republican form of democracy–actually has representation in Congress, but they still call themselves that because…oh Hell, it makes no sense. They just call themselves that. It’s okay. We’re Americans and can call ourselves anything we want. The Tea Party is basically against the government, unless the government is wildly conservative (if one can be wild and conservative). They don’t like taxes or immigration or government spending or much of anything else related to the government. The don’t like our current president. I don’t think they liked our last president, either. I pretty sure they didn’t like the one before that or the one before that. I think they like Ronald Reagan, but I don’t think they would have liked at the time he was president. Maybe they don’t like anyone. They might like our Senator from Kentucky, Rand Paul. After all, they helped get him elected. Soon, they’ll find out he’s a closet Libertarian. Then, they won’t like him. Or maybe they will. I don’t really know. I’m not sure anyone likes the Tea Party, unless they are, of course, in the Tea Party which–as we noted above–isn’t really a political party. The Libertarians are an actual party, although Ron Paul (Rand’s dad) might be the only member. Democrats certainly don’t like the Tea Party. Republicans don’t much like it, either. Thus, it would seem to be a prime target for persecution. If you are a foreigner, you probably don’t know that Americans love to be persecuted. I’m not talking about real persecution, to which you might be subjected in your country. We just like to think our politics or religion or sports teams are persecuted. Everyone is against them. Why do we like that? It just makes us feel self-righteous, like we’re the underdog. We like that. Now, you might be reading this as a foreign resident of the American prison known as Gitmo. If so, you will not find any of this to even remotely qualify as persecution. Well, let me ask you this: Where the hell did you get access to a computer? You’re not even a U.S. citizen (hopefully). Occasionally, though, there is real persecution or at least bullying that goes on. The IRS has been caught doing just this very thing. How? It turns out that they’ve been scrutinizing conservative groups, including Tea Partiers, to determine if they really qualify as “tax exempt.” What is a tax-exempt group, you ask? Well, I’m a lawyer. Allow me to explain. Americans pay taxes on damn near everything, except for the 50% who don’t. Corporations pay taxes, too, except for the ones who use our Byzantine tax code to avoid paying taxes. Some corporations don’t have to pay taxes, because the IRS doesn’t make them. These are “non-profit” corporations, an oxymoronic designation if there ever was one. Our churches and charitable organizations typically qualify for that status, even though people can get incredibly rich working for them–especially churches. Don’t you wish you were an American? Other groups qualify, too. Oh, I could go into great detail to explain the criteria, if I knew what they were. Just trust me on this one. One such group is what is known as a 501(c)(4) organization which includes civic leagues, social welfare organizations and associations of employees. Here is a link to a mind-numbing IRS brochure on the subject. One of the things the IRS doesn’t like is when such groups are formed to promote or elect candidates for political office. That’s a no-no. Evidently, the IRS embarked on a project where such terms as “Tea Party” or “Patriot” would draw special scrutiny with invasive and downright loony inquiries into the organization’s workings. The obvious problem is that any such group in our country is bound to be a Right Wing organization which oppose anything the current Presidential administration says or does. (As an aside, should any of you foreigners move to the United States, be very wary of any thing dubbed “Patriot.” Those things tend to be sketchy and even frightening.) It also just seems nasty and unfair. We don’t like that kind of stuff, especially when it happens to us. Now, we have a full-blown scandal on our hands. Americans love scandals, too. Scandals here tend to be given the suffix of “-Gate.” Soon, this will be called “IRS-Gate.” Why do we do that? Because we had a political scandal almost four decades ago involving the Watergate Hotel. Again, don’t ask too many questions. The outrage is now palatable. Congress is outraged–Republicans and Democrats alike. The Tea Party is outraged. The President is outraged. So is the IRS. When did the IRS start this kind of nonsense? Why should anyone be surprised that the IRS would attack people? Well, truthfully, no one should be surprised. The IRS is viewed as either a gang of incompetent government bean counters or jack-booted thugs ready to take everything you own. You probably have something similar in your country. It’s probably called the Ministry of Finance or some other haughty foreign title. As a foreigner, you are likely confused. Why is this a scandal? In your country, something like a military coup might be considered scandalous. Understand the Right and the Left hate each other, probably much like in your own country. Folks on the right hate, hate, HATE President Obama. They condemn everything he does. Everything. They don’t like his economic policies or tax policies or foreign policy or domestic policy. They don’t like his vacations or his golf game. They don’t like his wife. Or his mother. They say he’s dumb, lazy and out of touch. People call him a criminal. Every bad thing is his fault. You may be thinking that these Right-Wingers are awful. There is only one group as bad as they are. That group is the Left. The Left hates, hates, HATES President Obama’s predecessor, George W. Bush. They hated his economic policy, his tax policy, his foreign policy, and his domestic policy.. They hated his vacations. They didn’t like his family The Left said he was dumb, lazy and out of touch. People called him a criminal. Every bad thing was his fault then and now. Since these two groups hate each other, they’ll stop at nothing to discredit the other. The Left now uses the IRS to attack its enemies, just as the Right has done in the past. The Left even has the hubris to say: “Why didn’t you say anything when the Right was doing it?” Well, when the Right was doing it, they liked it, so there was no need to protest. Pretty simple, really. Besides, didn’t your mother ever tell you “Two wrongs don’t make a right?” If not, what kind of mother did you have? You might wonder what the fall out will be. We have something called “Congressional Hearings.” These are dog and pony shows where people are called before our government representatives to either answer inane questions or listen to long-winded speeches which aren’t really questions at all. These are mostly designed to help our representatives get re-elected. Think of it as reality television with less dignity. It’s also possible that there could be criminal charges, although no one is sure that any crime has been committed. That doesn’t matter. We Americans like to threaten criminal charges even when there is no crime. Treason is one of our favorites, even though our courts don’t really know what that is and no one is ever prosecuted for it. We will also talk of removing the President from office. We love to talk about that, even though it would result in the Vice-President becoming President. We have a storied tradition of our Vice-Presidents being blithering idiots or dangerous sociopaths, yet we wouldn’t mind them assuming the highest office in the land. Go figure. Impeaching President Bush was a popular notion. 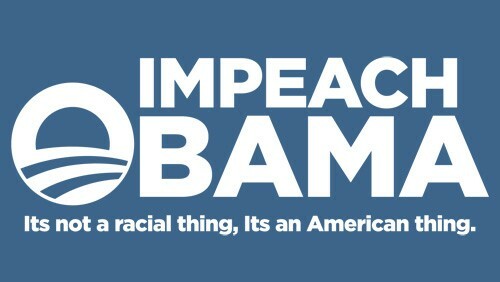 We would like to impeach Obama, but without all the apostrophes. One thing that won’t happen is that the people who actually did all the bad stuff getting fired. They’re civil servants. They just stay right where they are. Count on it. There is, of course, the endless media blathering, too. We have a phenomenon here where every city in our country has at least one radio station devoted to 24 hour a day talking heads from the Right. They spend most of their time talking about subjects which they say the media doesn’t talk about it as though they aren’t part of the media. Odd. What makes IRS-Gate so appealing is that it involves taxes, one of the lines of demarcation between the Left and the Right. The Left believes that taxes are good and should be increased on the rich, so that our government can use that money to benefit the poor. The Right hates taxes and believes they should be decreased, especially on the rich, so that the rich can use that money to benefit the poor. Both positions ignore two very real problems: The government tends to waste money, and the rich tend to keep it. To have the Left seek to tax groups on the Right goes to the very heart of this philosophical conundrum. So, what we have is a confluence of all things American: Taxes and the government; the Right and Left; over-the-top media; paranoia; and general hatefulness. The only thing missing is some sexual aspect to it all. Don’t give up hope–there is still time. Perhaps someone will blame it all on an outbreak of syphilis at the IRS. As a foreigner, you might not want to visit America now. Don’t be foolish. We’re still better than your country. Now, that’s not to say you’ll be welcome. We’re a nation of immigrants with a long history of hating immigrants, but that subject will have to wait. In the meantime, enjoy the show. My answer is yes to only one of the questions (I have a foreign accent). Thank goodness?! You have a good sense for humor. Thank you. Thank you very much, my foreign friend.